Rabies is endemic in South Africa yet few pet owners appreciate the dangers to city and suburban pets. 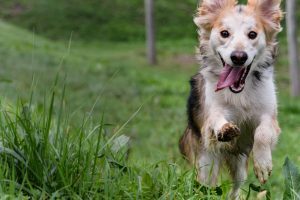 “We still tend to think of rabies as a disease found on farms, and that is spread by jackals and other wildlife,” says veterinarian Dr Hilldidge Beer. The reality though is that in South Africa 99% of rabies deaths in humans emanate from dog bites. The true extent of the virus in South Africa remains uncertain due to the undiagnosed human and animal cases not reflected in official statistics. 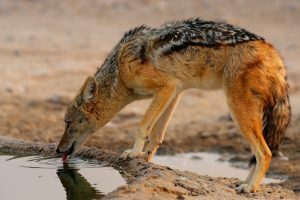 However, state health authorities and veterinarians report a sharp increase in rabies numbers, especially in areas where the virus was previously controlled. Vaccinate your pets. Vaccinating dogs is the most cost-effective strategy for preventing rabies in people. Dogs must be vaccinated at 12-16 weeks and again, within 9 months. It’s easiest to get the first vaccination at 12 weeks and then a month later at 16 weeks. 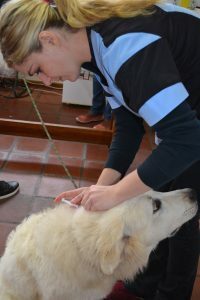 After the second vaccination, rabies vaccinations are administered at least every three years, although due to recent rabies outbreaks in the country veterinarians are now recommending yearly vaccination. Cats are vaccinated at 12 weeks of age and then within 9 months of the first vaccination. The repeat vaccination programme follows what is recommended for dogs (see above). Vaccinating your pet will not only save their lives but can protect the people and other animals it comes into contact with too. Vaccinations in pets are given under the skin at the nape of the neck. Most animals tolerate these injections very well as they are not painful. Generally there are no side effects though some animals may see a bit drowsy for 24 hours after vaccination. A very small percentage of animals will show an allergic reaction but this is very rare and is treatable. What do I do if I suspect I’ve been bitten by a rabid animal? Wash and flush the bite wound thoroughly with soap and water, for at least 10 minutes under running water. Consult a doctor immediately so that treatment is not delayed. Your doctor will likely give you a series of vaccinations. Keep a record of the dates of each injection and be sure to complete the course. The doctor should not suture the wound as this will spread the virus in the exposed area. Depending on the severity (category) of the injury, your doctor may also inject rabies immunoglobulin around the wound. ensure your pets’ and livestock’s vaccinations are up to date. keep your domesticated animals away from animals that may not be vaccinated. avoid contact with wild, stray or unfamiliar animals where at all possible. educate your children about the risks of rabies and how to avoid exposure, and teach them to tell you when they encountered strange animals. ensure friends, family and child minders know the risks and what to do. The first symptoms are usually flu-like, including fever, headache and fatigue, which then progresses to involve the respiratory, gastrointestinal and/or central nervous systems. There may be signs of hyperactivity (‘furious’ rabies) or paralysis (‘dumb’ rabies). In both furious and dumb rabies, there is progressive paralysis, followed by coma. Death occurs during the first 7 days of illness.